It’s peak hour at Raffles Place MRT station. You’re walking fast, ahead of the stragglers. 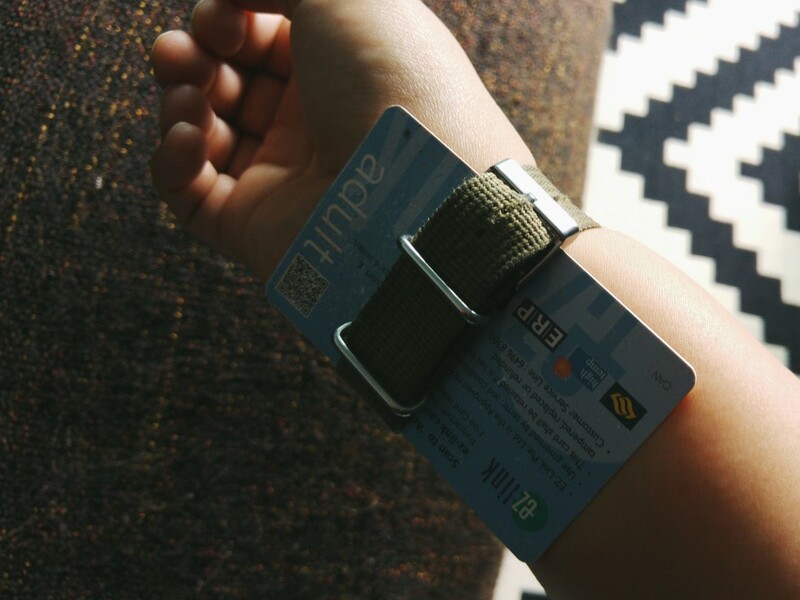 You have your EZ Link card in hand to tap out, and then it’s the escalator that will fast track you to your office. Just as you’re about to place your precious card on the reader, the person right before you stops abruptly and begins to search for her card in her compartment-less Celine work bag. A great start to the day! If the LTA had its way, though, we might never have to experience this again. 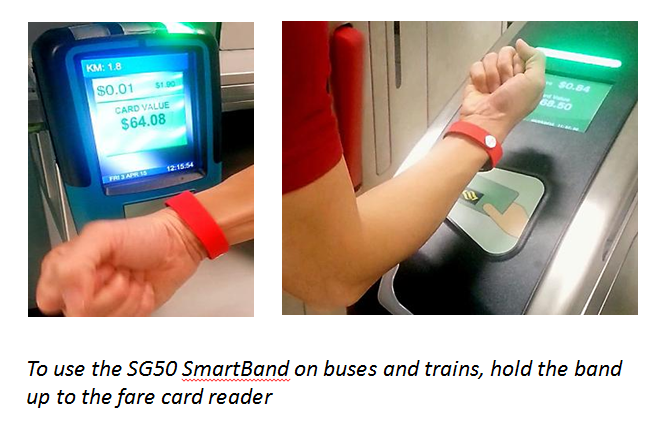 According to their Facebook post, 200 commuters will be participating in a six-month trial to test out their newest payment device called a SmartBand, which they will wear on their wrists. These SmartBands have near-field communication (NFC) abilities, and are encoded with the same contactless e-purse application (CEPAS) found in our existing EZ Link cards. 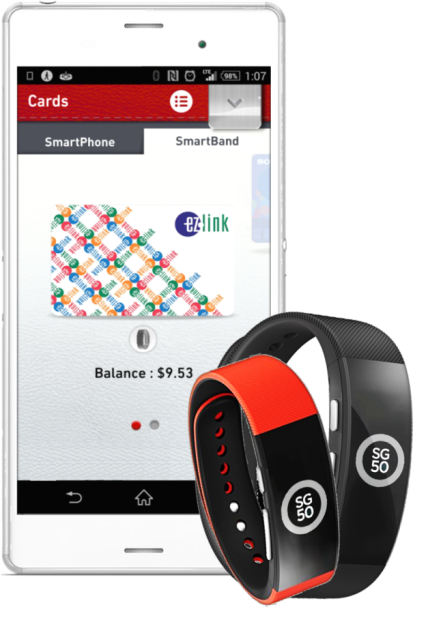 The SmartBands will also be able to track users’ daily activities and sleep quality, as well as let them make mobile payments at selected merchants and retail outlets. 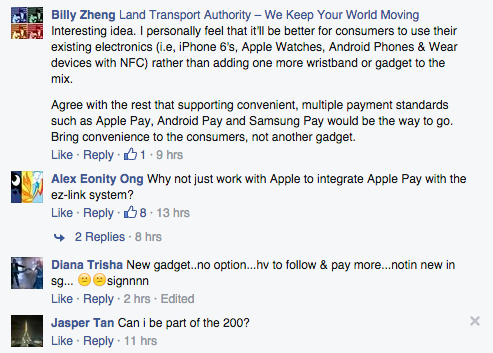 It’s essentially going to be a uniquely Singaporean wearable, if all goes well. 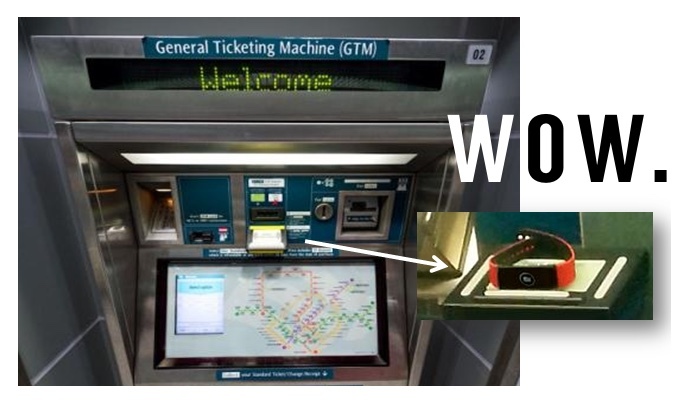 Trials have already begun, so don’t be having a laugh if you see people tapping their wrists on the machines.